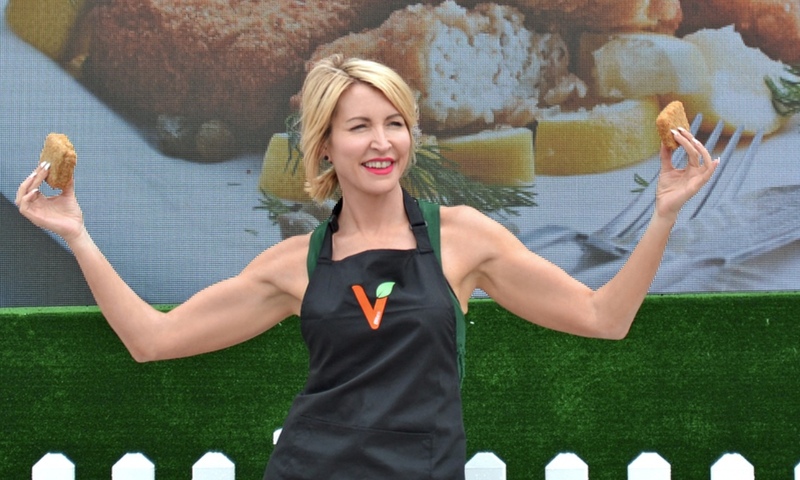 Entrepreneur Heather Mills says she believes Brexit can benefit the UK vegan industry. Mills - who owns vegan company VBites - made the comments in an interview with The Mirror. She described Brexit as 'awful', but believes it could create manufacturing jobs in the UK - she will be creating 300 jobs herself in a new vegan manufacturing facility. "Plant-based firms in EU countries have come to me and said supermarkets won't buy from them anymore, they're too expensive," she said. "They've asked us to manufacture for them. So yes, Brexit is awful but if it means we're inexpensive when it comes to manufacturing, then let's get on and do it." Earlier this year, the entrepreneur revealed she had bought the former Walkers Crisps' factory in County Durham and will be turning it into the UK's largest vegan factory, creating 300 jobs. Speaking on UK breakfast TV show This Morning in May, Mills said she had been planning to buy a factory in Austria, but seeing UK job losses made her change her plans, and snap up the facility in County Durham - a move described as 'amazing' by show host Eamonn Holmes. Mills said: "I am pleading with the supermarkets to buy British. We have Brexit on the way, we are in this situation love it or hate it. The manufactures are leaving for Germany left, right, and center. "I go back to my home town - and I am about to build a factory in Austria - and I find out my friend has lost her job. So I bought the Walkers Crisps' factory to bring all the jobs back again."